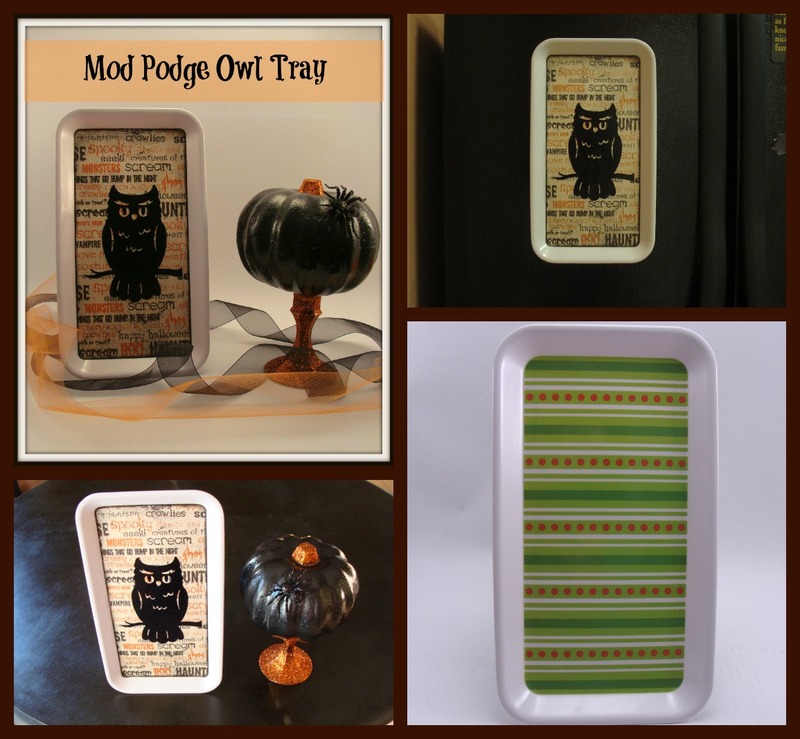 A couple of weeks ago I saw a fantastic Halloween Owl Plate by Bonnie with Uncommon Designs. 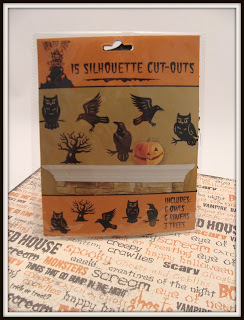 She used an owl silhouette very similar to the owl cutouts that I purchased last year from the dollar store. After seeing her design I knew that I had all the things I needed to make something similar. Just adhere the paper to the tray, adhere the owl on top, cover with Mod Podge, let dry and add a hanger or magnets on the back. I decided to add magnets and hang it on the fridge and it took all of about 5 minutes to put together. My $ store pumpkin keeps popping up in all my Halloween posts lately - just keeps butting his way in. Thanks Bonnie for the inspiration! Happy Owloween! Great idea, what a cute Halloween tray! thank you for sharing on Super Sweet Saturday. This is brilliant! I hope you will stop by and link up to my Wickedly Creative Halloween Ideas Party if you haven't already. Thanks Lindy! We linked up. Love it! Great job on repurposing and I love the owl! Visiting from Nifty Thrifty Link Pary. You did a fantastic job, sugar! I'm hopping over from Create with Joy. Nice to meet you. WOW you are so talented ...love it! You are making me blush! Thanks for stopping by! 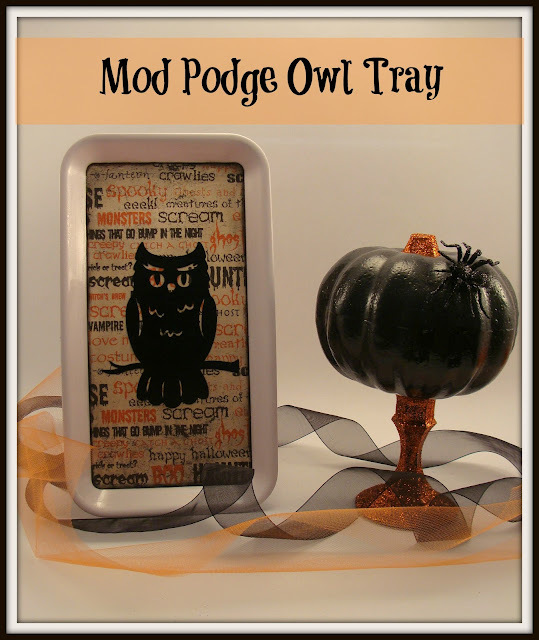 Such a cute tray re do! I love the owl so cute! I'm crazy for owls! Thanks for dropping by! Newest follower here! I found your blog through the Texas blog group—I’m one of the newest members! I love the trays! Thanks for following us Melanie! I'm your newest follower and see that you are moving to the LONE STAR STATE! Welcome! What part of Texas are you moving to? Have to warn you that it's pretty warm here but I know you will love it. I love everything about this! 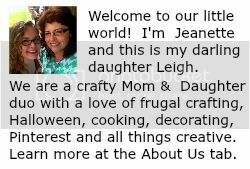 Love that you are a mom/daughter craft blog. Love that you used a thrift store tray. 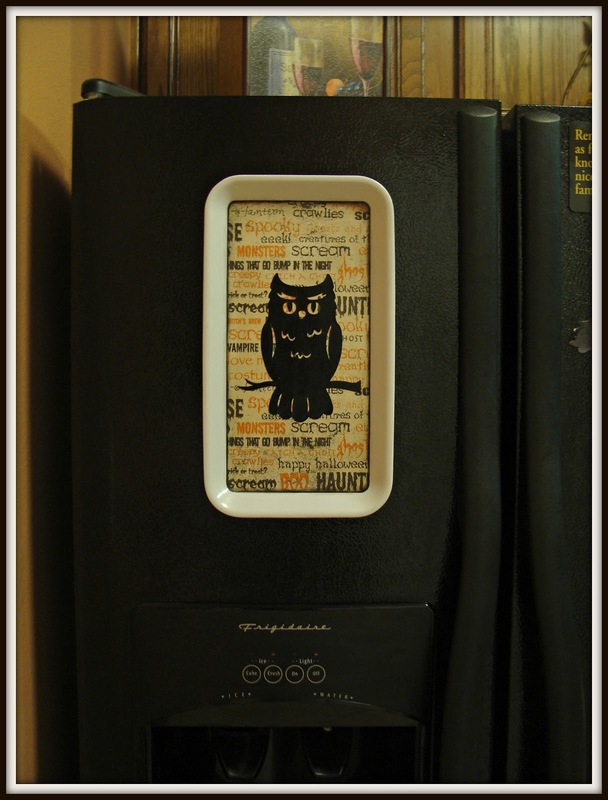 Love that scrapbook paper you used on the background and I even love that you put magnets on the back! Great job! Happily following you via GFC and looking forward to more! Thanks so much Danni! I was running out of room for my Halloween decor and the fridge was about the only surface left! I love your Halloween tray, super cute! Thanks so much for dropping in! We appreciate the good wishes! What a cute idea! I love the quick inexpensive ideas best! That tray is adorable! Thanks for sharing it with us. I just love this. Especially with the owl. I wanna head to my local goodwill right now and see if I can find a tray to do this project. Thanks so much for sharing! I had to follow you guys- you're in my neck of the woods! I live in Rosenberg- just southwest of Houston! Oh my gosh Laura! You are a scrapper and a thrifter - just like me! Love your blog and I'm your newest follower! We have a thrift store here in Crosby called Churches United in Caring that I love to go to. The problem is I keep piling things up to use in projects and the pile is taking over! Thanks so much for following us! Great tutorial! Found you on Shine on Friday! We are all about the cheap over here! LOL!!! Anytime we can make something for pennies it just makes it that much better! Thanks for dropping in! Thanks Julie for featuring us! Happy Halloween! I love anything with owls! CUTE!! Thanks so much for partying with us this week @ Keep Calm & Link Up! 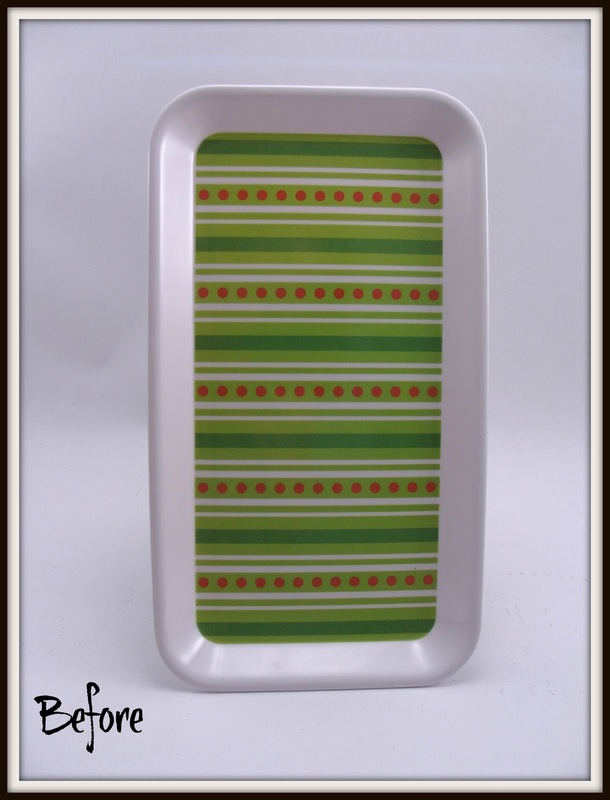 Love your tray! Featured it this week! Come by to see!